WIN your annual habitation service! Please ensure you read and understand our Terms and Conditions prior to completing this booking form. Completion of this form indicates that you agree to our terms and conditions. Please be aware that you will also be asked for a non-refundable booking deposit of £50 to secure your campervan hire once you have completed this form. If a vehicle already has a provisional booking over the dates you require, do not attempt to re-book it. There is only one of each vehicle available and we cannot refund deposits made online, even for double bookings. 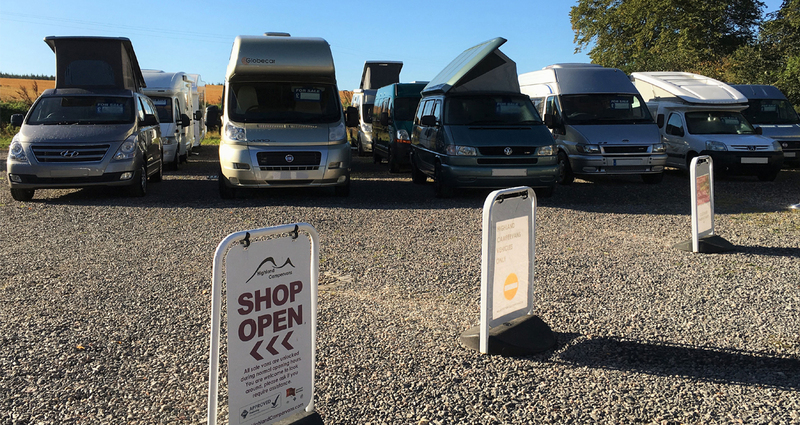 If you have any questions about the availability of a vehicle or the booking form, please contact the Highland Campervans office on 01667 493976. It is extremely important that you provide accurate driver details and you must keep us informed and updated of any changes to driver details/circumstances. Our insurance company will use the information provided here to assess the risk against each driver. 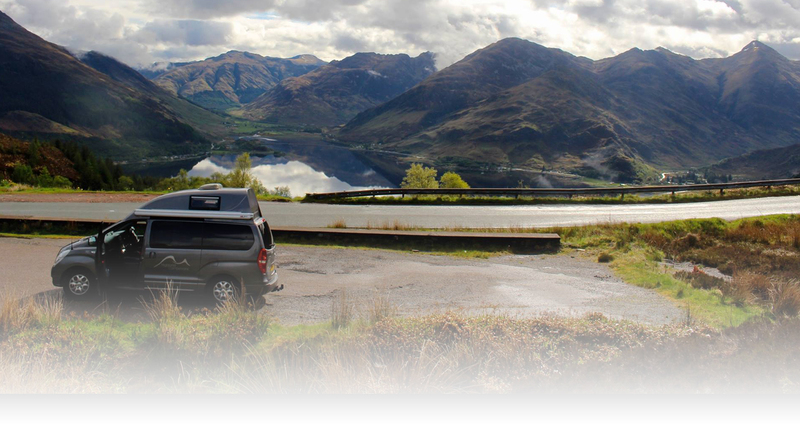 Highland Campervans will endeavour to inform you of any additional premiums levied by our insurers as soon as possible; however we reserve the right to pass on premiums quoted by our insurers until the point of hire. Our insurers may also carry out a final check of driver's details against DLVA, police and insurance agencies 48hrs prior to the vehicle hire. 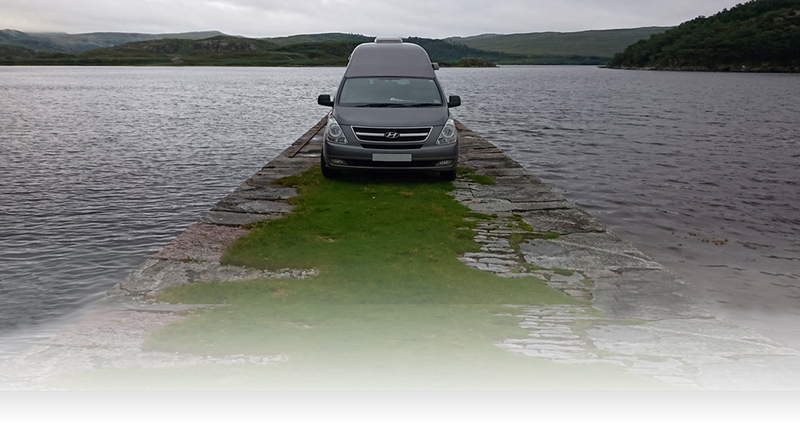 Highland Campervans reserve the right to refuse rental if the insurance risk is deemed to be too high. Do you have any disabilities or infirmities e.g. diabetes, heart conditions etc? Have you had any motoring offences noted on your licence within the last 5 years? Please state code (e.g. SP30) and date. Do you have a UK driving licence, if not where was it issued? Have you been involved in a motor accident in the last 3 years, if so how many? Have you ever been refused motor insurance? Occasionally we may issue email promotions providing discounts on vehicle rentals or similar. Would you be happy to receive these emails from us? Please note: this vehicle does not allow pets. If you wish to bring your pet please select one of our Pet Friendly vehicles. We had a great time despite the blizzards! It was a really positive first campervan experience!